Established in 2004, HICX Solutions specializes in supply chain analytics and business process management software solutions. Headquartered in London, with regional offices in Chicago, Athens, and Dubai, the company has clients around the world in a wide range of industries. HICX Solutions is led by company board chairman and Chief Executive Officer Konstantinos Xyloyiannis, who has been with the firm since its inception. 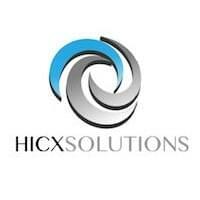 HICX Solutions offers an integrated suite of supply chain analytics and management software solutions through its “Business Process as a Service” portal, and includes modules capable of managing supplier on-boarding and qualification, supplier information and data and supply chain monitoring, coordination and analytics. The Supplier Information Management (SIM) cloud-based supply chain management software from HICX is designed to enable businesses to overcome a lack of sufficient internal resources and fully utilize the strategic resources it does have, while reducing costs. It includes features that collect data from suppliers, send out requests for information, provide ongoing follow-up, update and maintain documentation and provide progress reports. Additionally, HICX’s SIM supply chain monitoring solution includes the capability to keep up with due diligence and regulatory compliance requirements by processing, scoring and assessing supplier information, as well as vetting suppliers with searches of public databases, phone screening and bank checks. The system even coordinates follow-ups between stakeholders and suppliers, and updates the former with progress reporting. Other key features include data tracking in the areas of environmental and carbon management, sustainability and corporate social responsibility (CSR), and risk assessment and potential exposure from suppliers. Learn everything you need to know about HICX SIM. Our experts will reach out to you shortly.